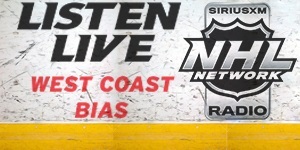 #LAKings contract news: Nick Shore’s new deal is for 2 years. YR1 is a two-way (he doesn’t need waivers to go to AHL), YR2 is one-way only. More contract news: #LAkings and 2015 AHL Calder Cup MVP Jordan Weal have agreed on his qualifying offer (meaning, new one year deal). 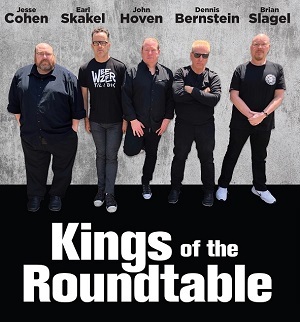 Shore is currently penciled in as the third-line center for the Kings in the upcoming NHL season. Our note on him not requiring waivers was in response to several recent questions about his status. Because he was only 19 years old at the time of his contract signing (and coming out of college), he can actually be sent back and forth to the AHL freely for one more year. Most players coming out of junior hockey require waivers after they come off their Entry Level Contracts. His new contract is for $600K at the NHL level for both years of the deal. His AHL pay for next year would be $90K. 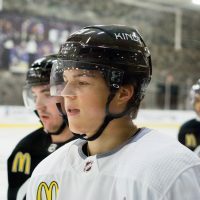 One of three Shore brothers to be drafted by NHL teams in recent years, Nick made his NHL debut last season and played 34 games with the Kings, recording one goal and six assists. 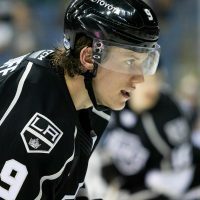 He began the season with Manchester and was among the AHL goal scoring leaders at the time of his call-up. 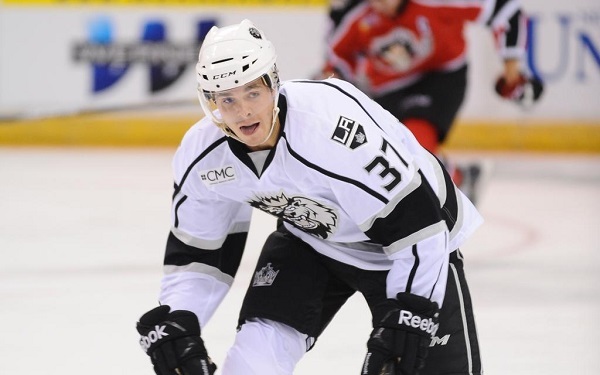 He also returned to the Monarchs for the playoffs, suiting up for all 19 games of the Calder Cup Championship run. 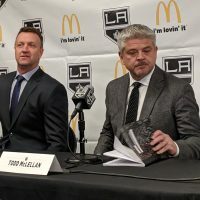 Weal is out of waiver options. And, as if there was little doubt before, being named the 2015 AHL Calder Cup MVP all but sealed the fact he will not pass through without being claimed. 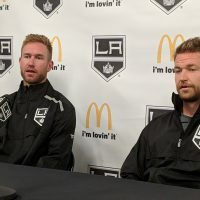 Thus, the high scoring forward will be given every opportunity to crack the Kings lineup in training camp, including as a winger. He is coming off a season in which he produced 69 points in 73 regular season games, then followed that up with 22 points in 19 playoff games – breaking several team records in the process. By agreeing on his qualifying offer, Weal will essentially be paid 10% above the $575,000 listed in his last contract ($632,500), should he secure an NHL job. UPDATE: Vincent LoVerde (two years), Nic Dowd (one year), and Andrew Crescenzi (one year) have also signed new extensions with the Kings. Loverde’s contract has an AAV of $575K at the NHL level, with minor league pay of $70K and $100K (with $80K and $125K guaranteed). Dowd is at $600K AAV if he is in the NHL and $72.5K in the minors (with $85K guaranteed).